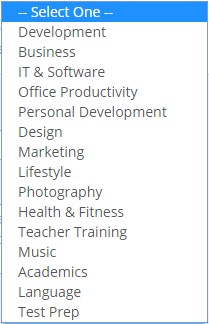 The above list contains the common major fields you are asked to choose from. What's the most relevant field to categorize GIS? If this is the list and there aren't any other categories, I'd have no doubt and put it in IT & Software. I think you cannot confuse what GIS is and what do you use it for. How do you explain what GIS is?